Michael S. Reinhardt, a graduate of St. John’s University School of Law, was admitted to practice law in the State of New York in 1987. His primary area of practice is Real Estate transactions and the Probate of Estates. Michael Reinhardt developed an empathy for all parties involved in a Real Estate transaction while he worked as a salesperson selling houses from 1981 until 1987. He has witnessed the stress involved by interacting first hand with all parties. This direct involvement has become an asset while representing clients in their Real Estate transactions. Michael is a member of the Brooklyn Bar Association, and a supporter of the New York Association of Realtors. He also serves as an officer and advocate for the Knights of Columbus Brooklyn Council #14269. 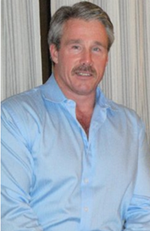 With over twenty-five years of experience, Michael has gained valuable knowledge to share with his clients. Using this experience, he created several books serving as guides to home buyers and sellers. Two of the most widely distributed books are “Purchasing Your Home Does Not Have To Be Stressful” and “Selling Your Home Does Not Have To Be Stressful”. Michael is aware that the Real Estate market will change periodically, however, the importance of having an attorney who understands that the clients individual concerns are as unique as real estate itself, is invaluable. Jon B. Kosches, a graduate of St. John’s University School of Law, is admitted to practice law in the State of New York. He has worked for Michael S. Reinhardt & Associates in excess of ten years. On behalf of our firm, Mr. Kosches has personally handled over two thousand Real Estate transactions representing both buyers and sellers. Mr. Kosches is proud to say that a large portion of our practice is made up of referrals and prior clientele. When making the decision of which lawyers to representing you in one of the largest investments of your life, contact the Law Office of Michael Reinhardt & Associates for your free consultation.